It is an extremely basic smartphone at a pocket-friendly price, but the performance pales in comparison to the competition. The Asus Zenfone Lite L1 and the Max M1 were announced together and are both entry-level smartphones. The M1 is the more expensive of the two. 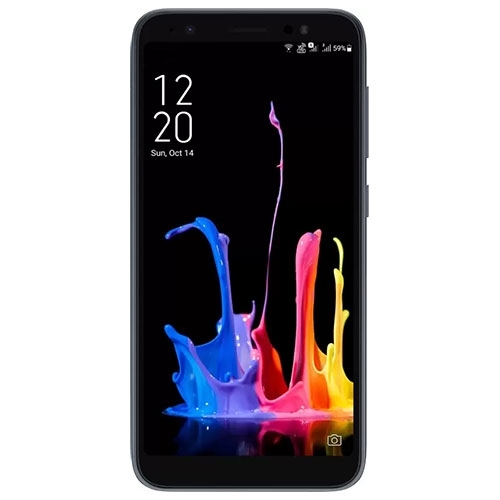 While the Max M1 has been launched at a price tag of Rs 7,499, the Lite L1 is selling at an introductory price of Rs 5,999. Both phones are Flipkart exclusives. 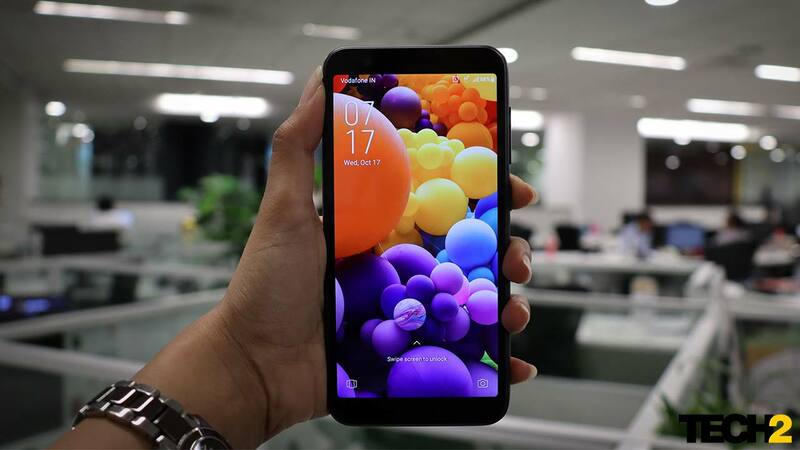 The Zenfone Lite L1 is an extremely budget-friendly smartphone and its highlight feature is the 3,000 mAh battery, which can easily power the phone for two days at a stretch. The phone is relatively small in size and I can hold it comfortably with my small hands. In effect, this is a great buy for people who're upgrading from their feature phones and have budget constraints. Given the features and pricing, the phone could be a winner. Sadly for Asus, the phone takes a backseat the moment the competing Redmi 6A pops up. The 6A, which is selling for basically the same price, offers the same great battery life, a better camera and a far smoother operating system. The phone is sturdily and very simply built. It comes in two finishes: gold and black. We received the black variant for review. The device is made completely out of plastic and is painted black giving it a matte black finish. If you like phones that stand out, then this isn’t the phone for you because it offers pretty much a barebones chocolate bar form factor and nothing more. Given that the body is almost entirely made of plastic, the phone feels surprisingly light. At 140 g, it's quite a bit lighter than most phones of a similar size. 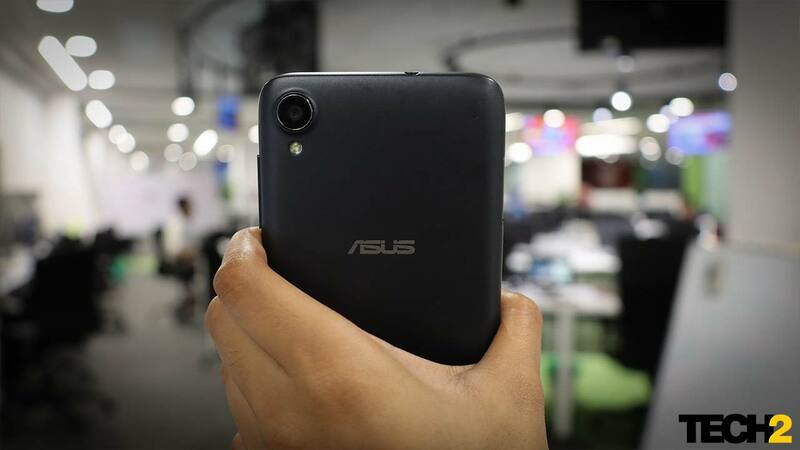 The rear of the phone features a circular cutout for the camera and flash, and the Asus logo is centrally aligned. One-handed use is a pleasure and I had no issues when scrolling through my Instagram feed or a list of apps. The phone is small and easy to grip, but I did need to use two hands when typing a message. The phone does not come with a fingerprint scanner, but it does come with a face unlock feature. Face unlock is effective, managing to detect my face in low light and even in the bumpy environs of an auto-rickshaw, but it's too slow and I'm not much of a fan of it. The power and the volume buttons of the phone, placed on the right side of the frame, deliver a satisfying click and did not need too much pressure when pressing down on them. The hybrid SIM try is on the left, a 3.5 mm jack sits on top and a microUSB port and speaker grille can be found at the bottom. One thing I did love about the phone is the smudge-free rear. There's a lot to be said for glass and rubberised backs, but I'd rather have this smudge-free plastic back instead. Also, the plastic means that I'm no longer worried about dropping my phone and damaging the rear. The camera is by far the most important component of a smartphone these days, even if it's an entry-level one. Sadly, neither the 13 MP f/2.0 rear camera nor the 5 MP front camera can deliver. Images shot on this phone barely qualify as average, but they are usable. The more worrying issue is that the camera app keeps conking off in the afternoon heat. This can get very frustrating when all you're trying to do is capture that perfect selfie. At first I thought that all budget smartphones suffer from similar issues and offer similar image quality, but when I tried the Redmi 6A, I was blown away, and 6A even has the same front and rear camera setup. The L1 supports a software-driven portrait mode on the front and rear cameras. This felt a bit gimmicky as the edge detection is not very clear and the background blur can make the backgrounds excessively blurry. The camera struggles to capture sharp images, and as you can see above, there's a lot of distortion in the lens. There is also an option of a beauty mode that even lets you sculpt your face virtually. I'm personally against the very idea of a beauty mode, but that's a rant for another time. As you can see in the image below the beauty effect of the Asus Zenfone Lite L1 has completely changed my face. It's as if someone has morphed a different face onto my body. The complexion of my face has completely changed, almost as if the mode tried to make me into a plastic doll with a bleached face. 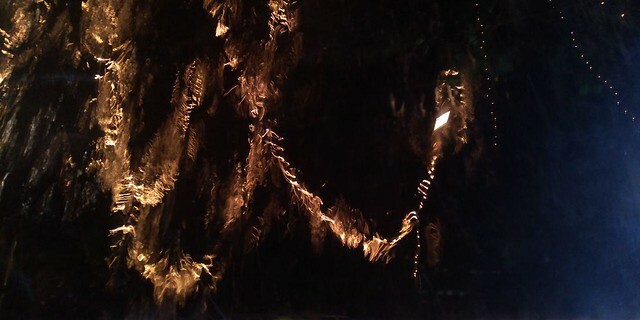 When you see the picture as a whole in the Asus Zenfone Lite L1 it looks okay, but when you start looking at details, then the problems surface. The photos are grainy and it feels as if the phone over-sharpening objects. Then there is an HDR mode as well which you can choose to use or not. It kind of works well in bright lighting scenarios (sunny afternoons) but don't expect stellar results. Also, the camera tries to reduce the noise but goes overboard with the filter, making some images look almost fake. If you are keen on getting a good camera phone with great picture quality, then the Lite L1 is simply not be for you. The Xiaomi Redmi 6A is definitely a better shooter. Shooting photos on the L1 felt like a chore while on the Redmi 6A, it felt like fun. The 6A's software is simply smoother, more stable and more reliable. In fact, the 6A consistently outperformed the L1 in every department, especially in low light. Redmi 6A does not offer a portrait mode in the rear camera like the Asus Zenfone Lite L1, but it does offer HDR. The 6A's videos are also better, especially in low light conditions, as the objects are much clearer. The maximum resolution on which the videos can be shot is 1080p and as there is no option given to stabilise your video, meaning the output can get very shaky. The Redmi 6A is no different in this regard. The phone, as mentioned before, comes delivers great battery life. 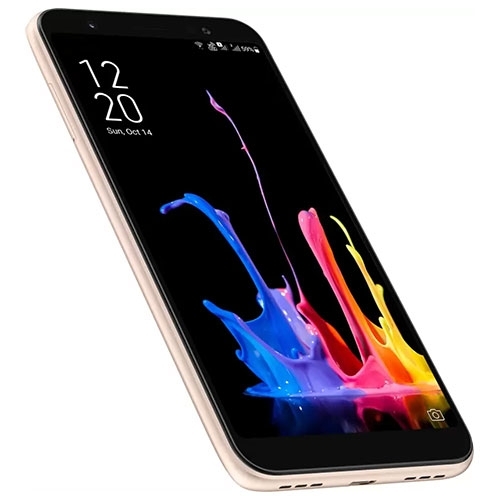 The Lite L1 sports a 3,000 mAh non-removable battery, which seems reasonable given its display size and low-powered chipset. Using the device as my primary phone, I had a hard time getting the battery to drain. I went through social media, watched videos, downloaded various applications and finally, the battery drained after a day of use. My usage is normally not this heavy and I find that the battery easily gets me through a day and a half. The most dreaded moment of my day is, however, the point at which I have to charge my phone. The bundled charger takes an eternity to charge the device. 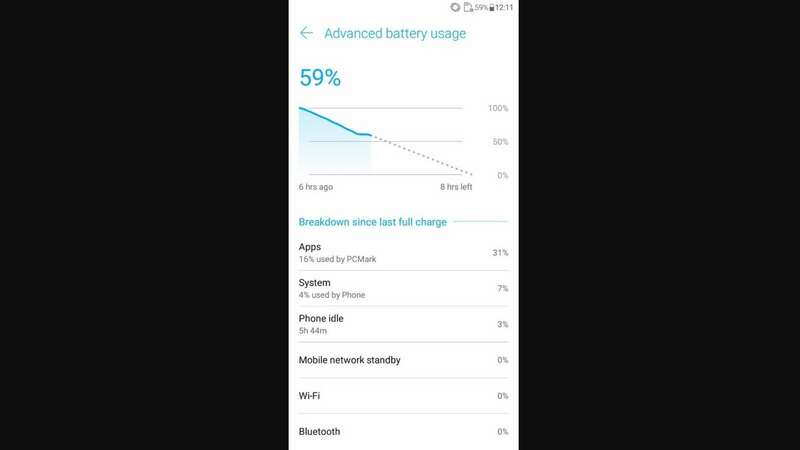 During the review period, not once did the phone charge from 0-100 in under 4 hours. Asus Zenfone Lite L1 battery. The Zenfone Lite L1 features a Qualcomm Snapdragon 430 chipset and is equipped with 2 GB RAM. Internal storage is a measly 16 GB, but thankfully, 256 GB microSD cards are supported. Sadly, the storage expansion is of little use when it comes to apps and games because they cannot be moved to an SD card. The Asus Zenfone Lite L1 comes with dual SIM functionality and has two Nano-SIM slots. Both SIM card slots support 3G WCDMA / 4G LTE/ VoLTE network band, but only one SIM card can connect to 4G LTE/ VoLTE service at a time. The phone also packs in Bluetooth 4.0, Wi-Fi 802.11b/g/n, GPS and GLONASS. The phone has a 5.45-inch HD+ display with thin bezels and a massive chin. Colours are neutral and there's no visual pixillation when viewing images. What will bother most users is the dim display. While the brightness levels seemed enough indoors, I had a tough time shooting photos and viewing them on the display outdoors. The Zenfone Lite L1 runs on an Android Oreo 8.1 which has Asus' custom skin called ZenUI as a layer atop it. The phone comes loaded with bloatware such as the Facebook app, Facebook Messenger and even Instagram. It also has a selection of Asus' own native apps that come pre-installed. These include the sound recorder and the file manager. This bloatware is particularly frustrating on the Zenfone because of the limited storage on offer. Another complaint I have is that the interface can get confusing for first-time users. Many of the settings are buried in unending sub-menus and there's a lot of searching involved. There is also a "full-brightness" mode for enhanced brightness, but that mode is a joke. The backlight is simply too dim in any situation. Other than that, general UI performance is decent enough and there was no lag when using OS gestures. The Asus Zenfone Lite L1 acted weird sometimes. It would randomly switch off by itself and this happened quite a few times. Also, the phone started to heat up and slow down when I had three-four apps running at the same time, and the phone does lag when there are a lot of notifications from social media platforms coming in at once. Watching videos on Netflix was a good experience given the 18:9 display, but the audio output of the speaker was too low. On the other hand, the Redmi 6A managed to work with multiple apps together and hands multitasking like a champ. Its speaker is also louder. Call quality and reception was great on the L1, even while travelling on Mumbai's locals. As I stay far from my workplace, half of my day is spent in travelling and for that, I require good network reception for calls and data, something which even my iPhone 7 fails to provide when I’m in the train. The Asus Zenfone Lite L1 provided strong network throughout my journey. Indeed, it does works well where it really matters. The Asus Zenfone Lite L1 is available on Flipkart at Rs 5,999 with 2 GB of RAM and 16 GB internal storage in gold and black colour variants. 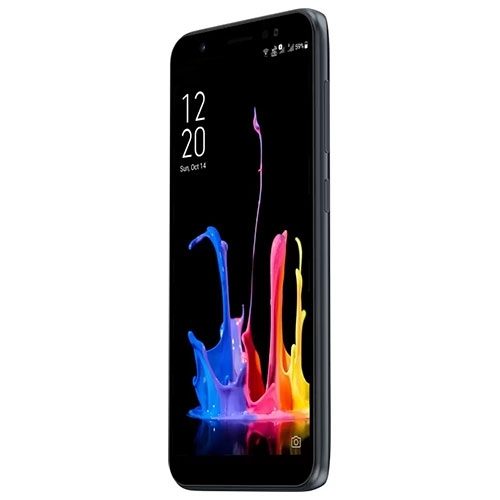 The phone proved to be extremely basic with nothing extraordinary on offer, which is fine at this price, but the phone also turned out to be a bit unreliable and would randomly conk off with no prior notice. 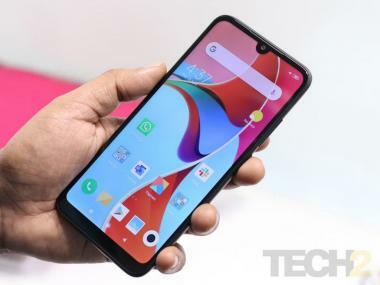 The smartphone is friendly to small wallets, tries to cram in features such as face unlock and has great battery life. The downside is a severe lack of performance, part of which appears to stem from the OS skin. Its competitor, the Redmi 6A, is far more dependable and useful. Its camera performance is also better, making it better suited for day-to-day usage. You even get to choose from colour options like Rose Gold, Black, Blue and Gold, which definitely looks more attractive than the somewhat 'bleh' L1. And its UI is better. And it's available at the same price. The Asus Lite L1 is simply not in the same league as its competition, making this a phone that we simply cannot recommend to anyone. 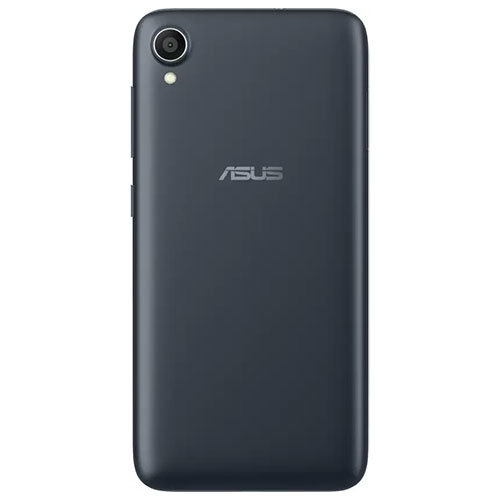 The Asus ZenFone Lite L1 (16GB, 2GB RAM) features a 5.45-inch HD+ IPS display with a resolution of 1440 x 720 pixels and is powered by a 1.4GHz octa core processor and has 2GB of RAM. It comes with 16GB of inbuilt storage, expandable upto 256GB and has a 13.0-megapixel rear camera and 5.0-megapixel front camera. It comes with Android 8.0 Oreo OS and support a 3000mAh battery capacity with 3G & 4G.